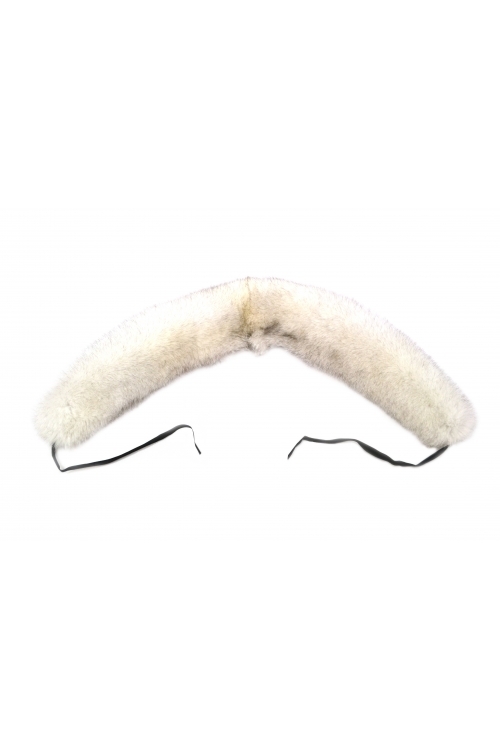 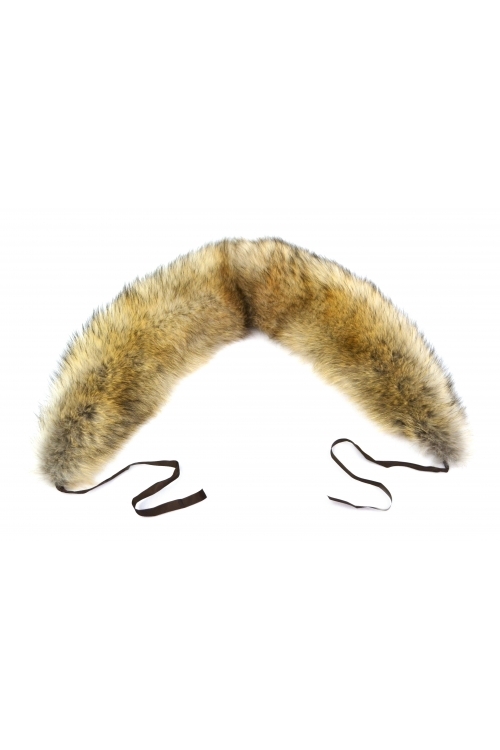 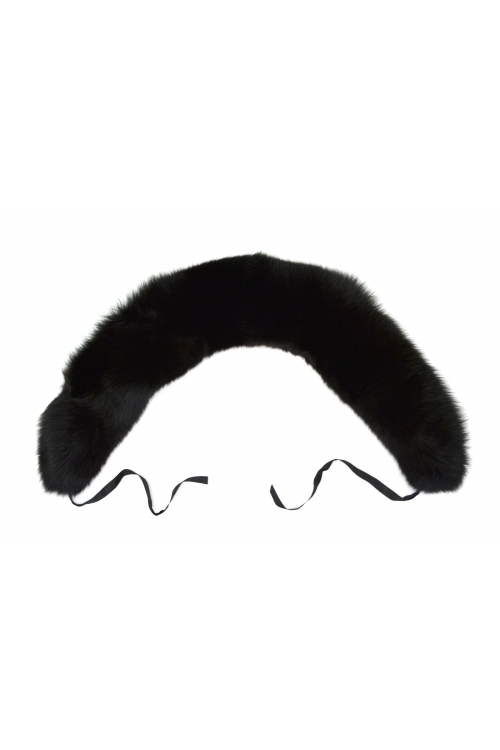 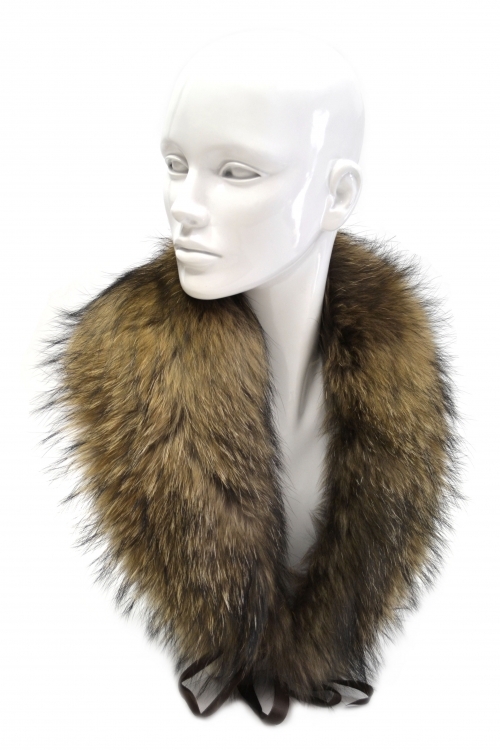 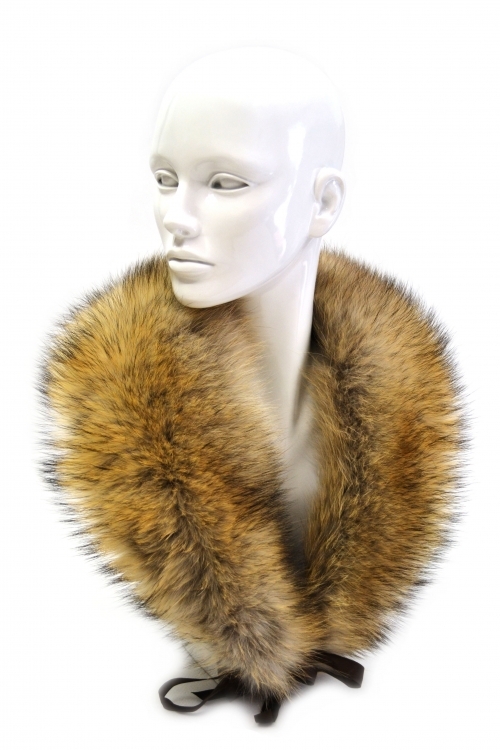 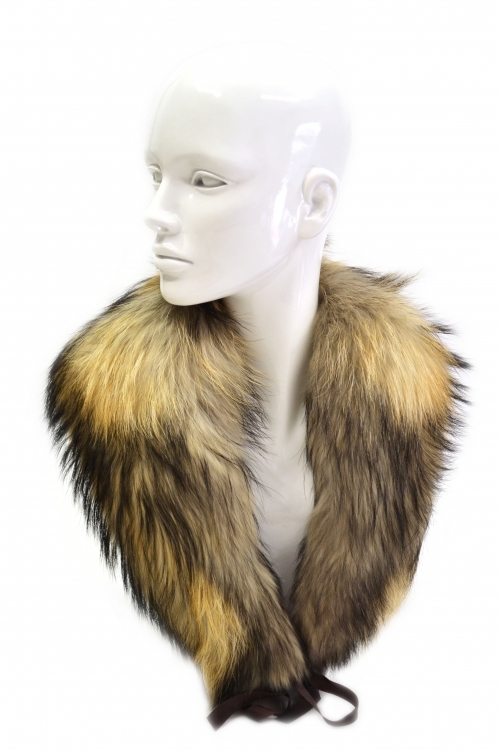 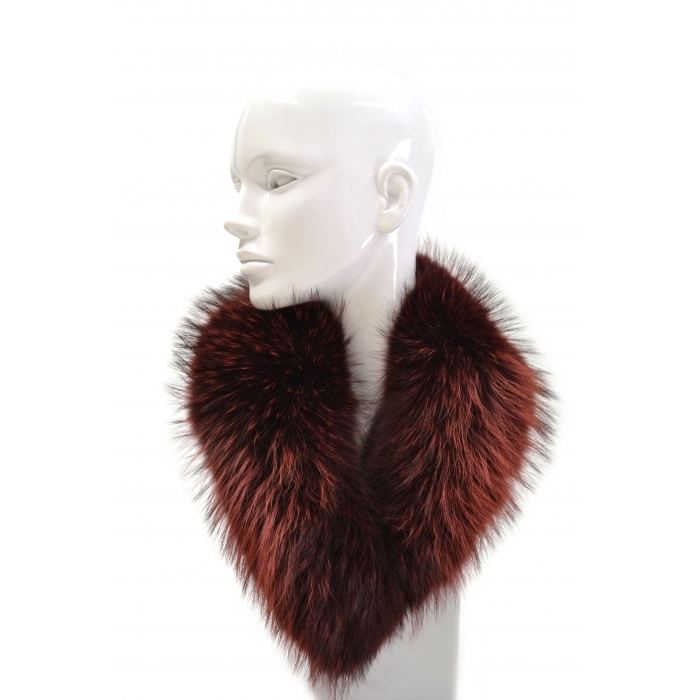 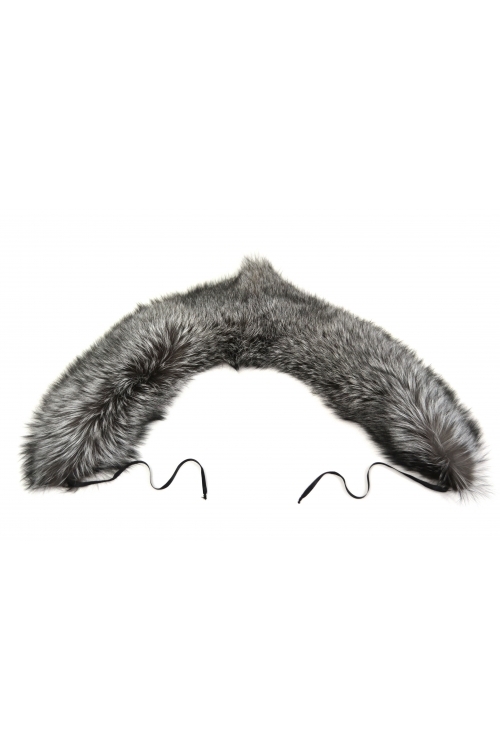 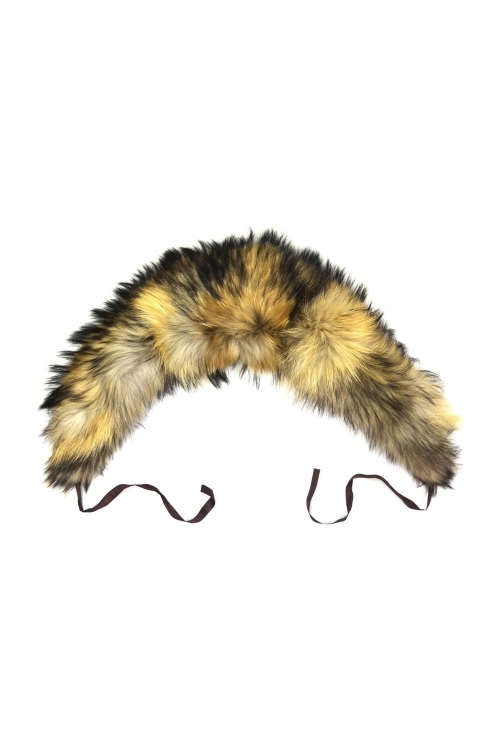 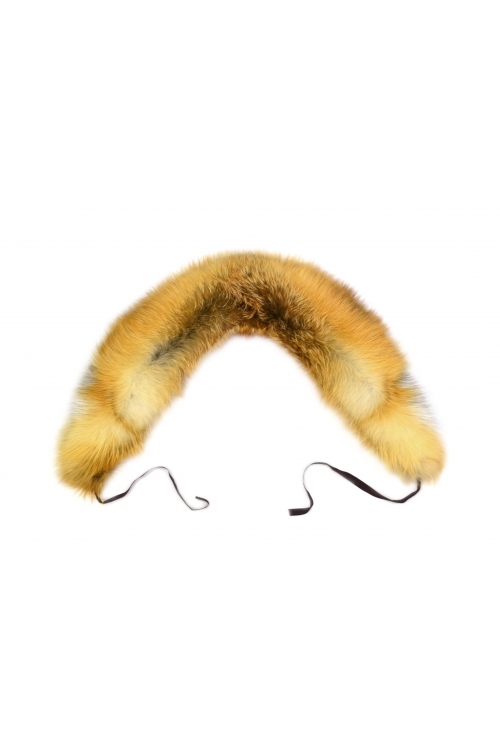 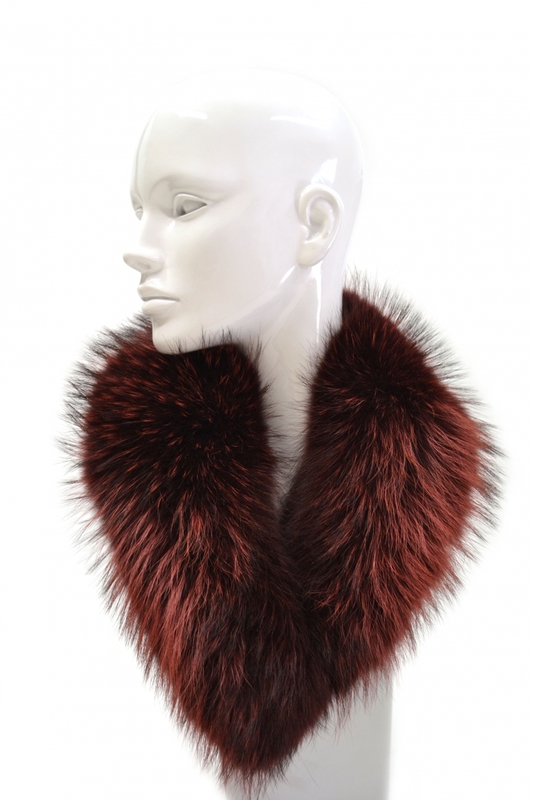 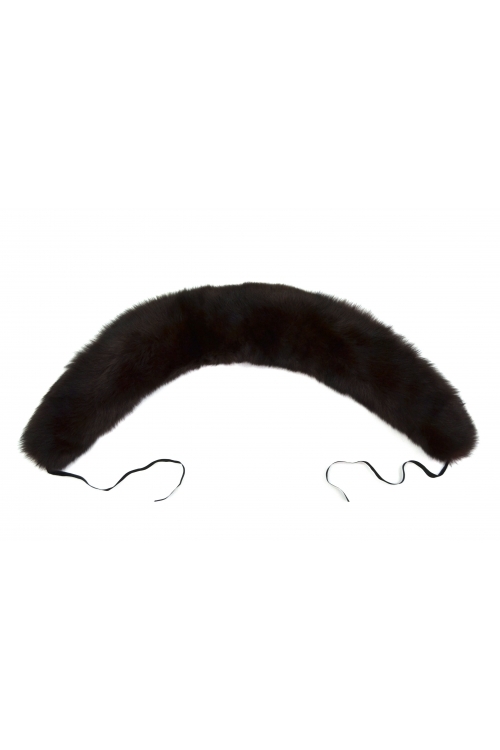 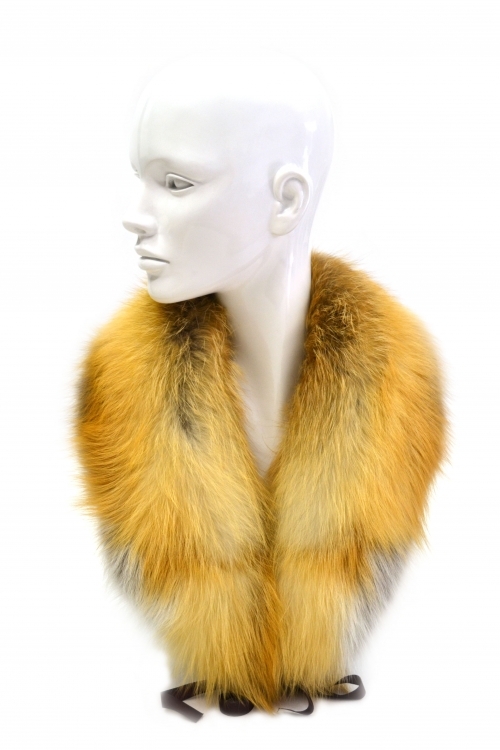 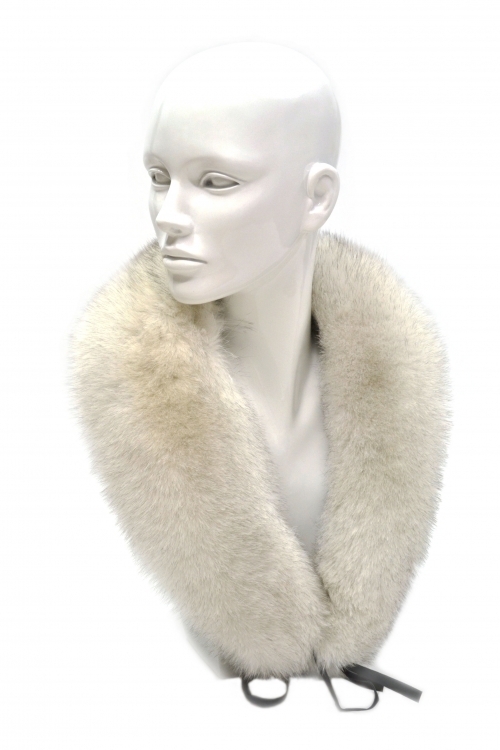 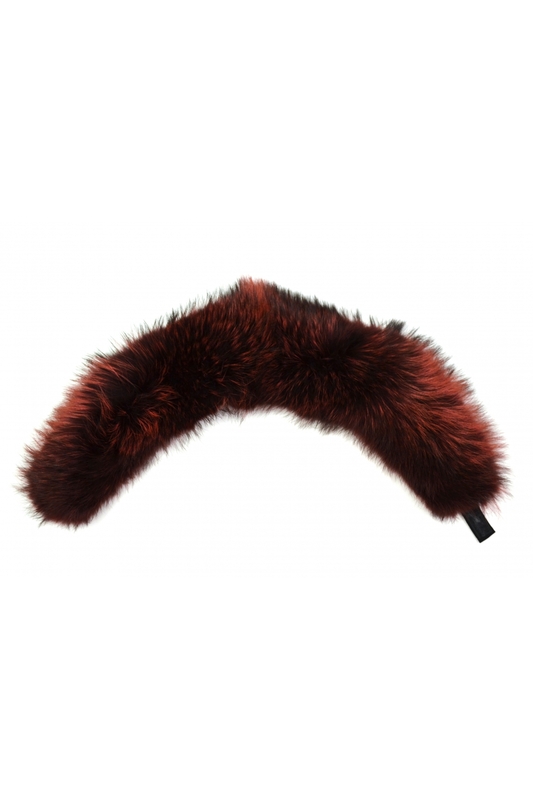 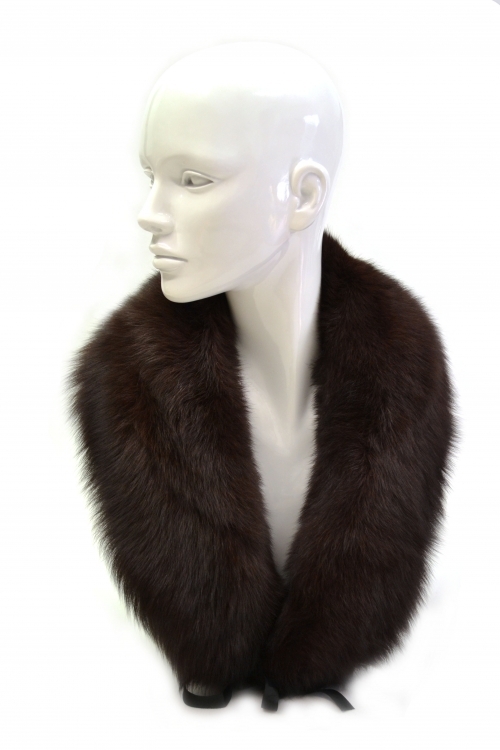 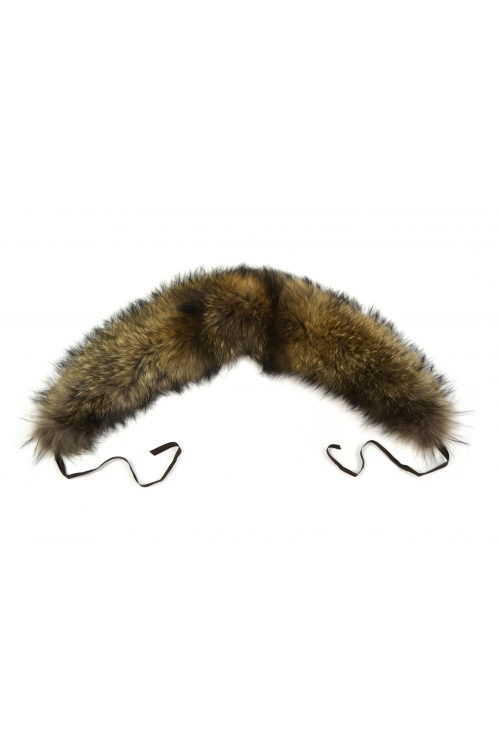 The collar made of natural fur is light and warm, satin strings at the ends. 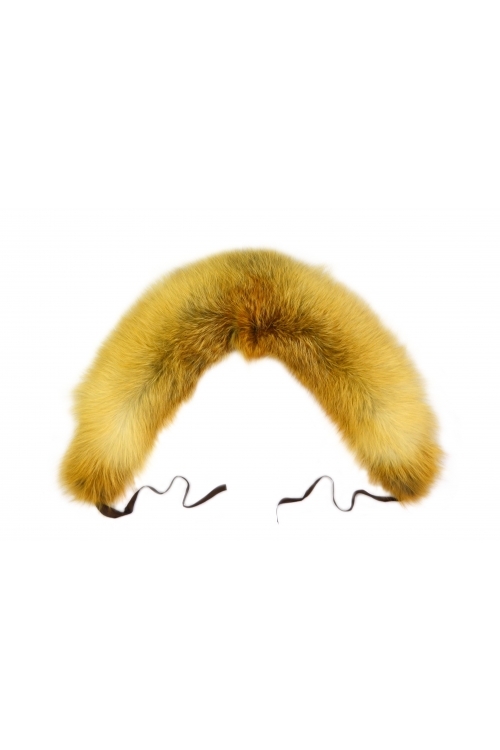 The length of the hem is 90 cm. 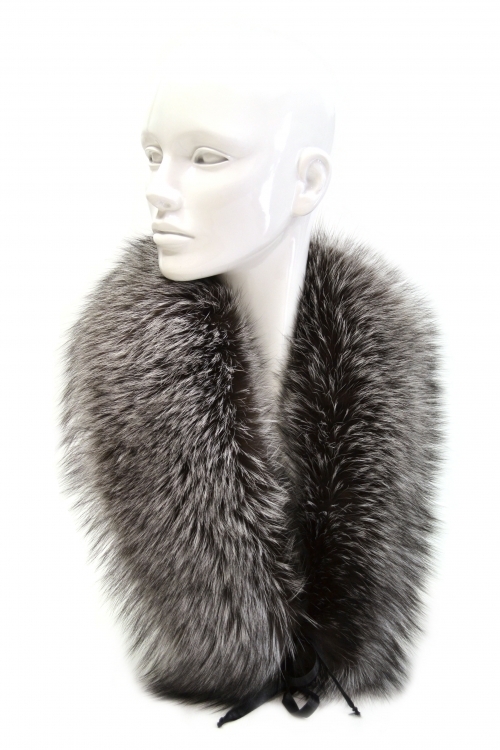 The length of the outer side (the side of the pile) is 100 cm.